The CEOs of Blockchains, LLC and NV Energy have signed a Memorandum of Understanding (MOU) which outlines their agreement to work together on energy projects powered by blockchain technology. "The goal of this collaboration is to create technology solutions that will produce customer-centric energy platforms powered by public blockchain, all with the intent of integrating approved incubations into Nevada's energy framework," said Jeffrey Berns, CEO of Blockchains, LLC. "These types of collaborative efforts, which return the power and control in transactions to the customer, are the very essence of blockchain technology. This partnership is only the beginning of what we have planned for Innovation Park." "We are thrilled to have access to Nevada-based experts in this cutting edge technology, and to be able to grow solutions that empower our customers," said Paul Caudill, CEO of NV Energy. 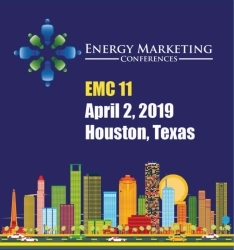 "We will explore a variety of out-of-the-box energy concepts to identify ways to improve the customer experience, including applications that further the use of energy storage, renewable energy and collaborative energy conservation. We are, in addition, excited about the many other undiscovered applications that public blockchain technology has the potential to make possible."